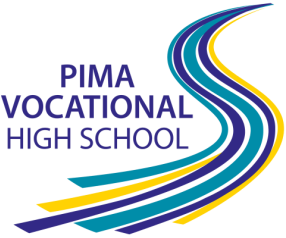 Pima Vocational High School accepts new students at the beginning of each session, every six weeks. please call (520) 724-9740 for more information. Students may choose to enroll at one of our two campuses. A two-day New Student Orientation is required before enrollment at PVHS. Please call to put your name on the orientation list! How can Pima Vocational High School help you? Paid job placement: After taking your first employment skills course, you will be eligible to be placed as an paid intern, and get school credit at the same time! Small classes: Student-teacher ratio of 15:1 (or less! ), and small campus of under 50 students. Quick credit recovery: If you are behind on credits, PVHS can help you earn the credits you need to graduate quickly. Real teachers and real classrooms! Our classes are not computer-based. All teachers are highly qualified and teach using hands on methods. Youth Specialists: Youth Specialists at each campus are here to help you overcome barriers outside of school, including finding childcare, housing and more! Tutoring: Get the extra help you need to get caught up.